We started with a range of tapas-style appetisers to share. 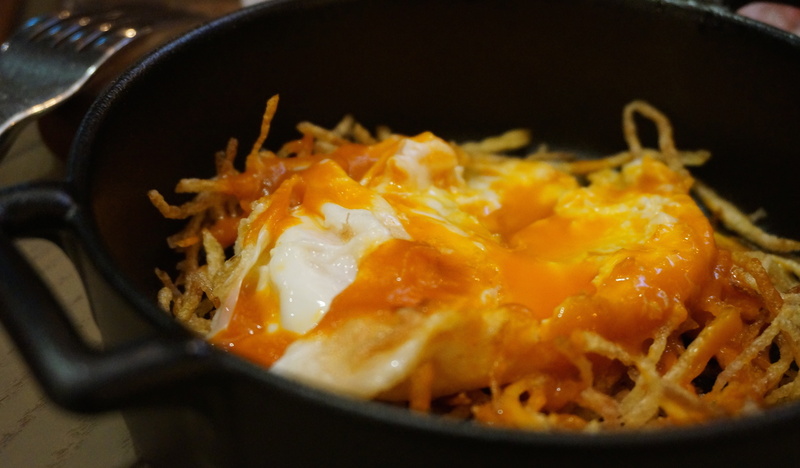 My favourite was the fried egg with crispy shoestring fries and tomato sauce, a hot gooey mess of yolk and happiness in a mini cast iron skillet. I could easily have bulldozed through a couple of portions on this on my own, but the downside of tapas is that you’re expected to share – boo! I got really excited when I saw salted cod croquettes on the menu, as I just can’t resist them. Isono’s were pretty good – crunchy on the outside, creamy on the inside, you know the drill – although personally, I prefer the cod to be a bit more detectable both in terms of texture and taste within the mashed potato. 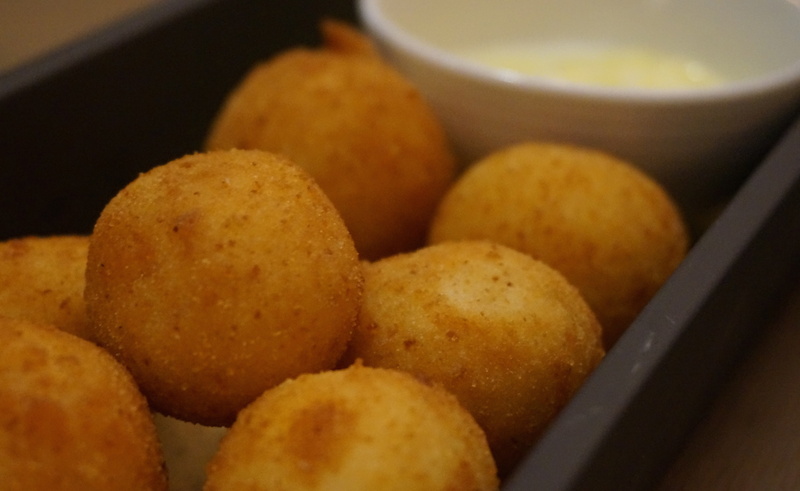 But piping hot and slathered in aioli, these should disappear from your table very quickly… and you’d be mad to miss out. 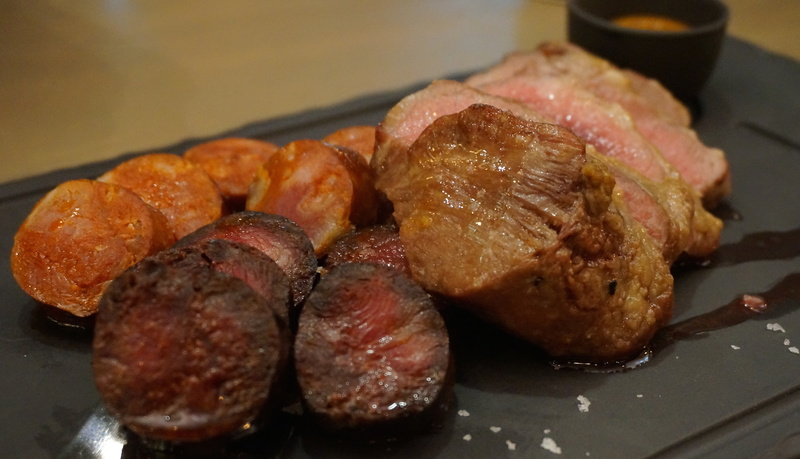 The standout of our mains was the Iberian meats selection. OH HEY PRESA, where’ve you been hiding all my life? Those sneaky little piggies have been hiding the fact that their shoulders are actually hella tasty… thankfully, the good chefs at Isono have cottoned on and this cut of meat was downright delicious. We had it cooked medium-rare and it was perfect – juicy, thick, melt-in-mouth and rich in flavour. Why would anyone eat pork chops when this stuff is available?! The smoky spicy chorizo was also pretty great, as was the incredibly addictive barbeque sauce. 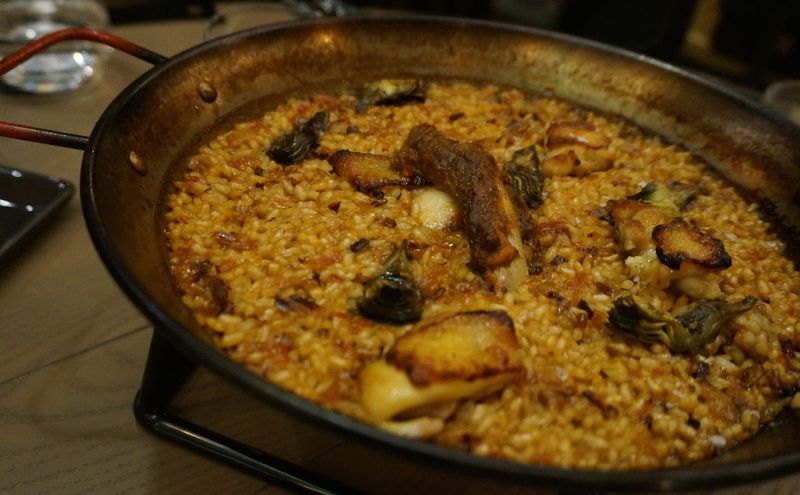 The other Isono signature is their paella, available in either seafood or meat varieties. The rice here was goooooood; it had clearly been allowed to soak up plenty of glorious meat stock and every grain burst with intense flavour. Texture-wise, it had a nice bite to it too, although I personally love that crunchy crust you often get at the bottom of paellas, which was sadly not too evident here. I was least sold on the meat itself – the chicken seemed almost bland compared to the depth of the rice and just one tiny pork rib between four people… seriously? But good paella in Hong Kong is pretty hard to find and this is definitely up there. Amidst an array of other good but unmemorable dishes (the Pata Negra charcuterie platter, smooth duck rillettes and a Catalan salted cod soup that was way too thin to be categorised as a “hearty stew” on the menu), is it bad that I want to talk to you about the chips instead? Blame it on having a boyfriend who classifies fries as their own food group, but Isono’s triple-cooked chips were kind of amazing. 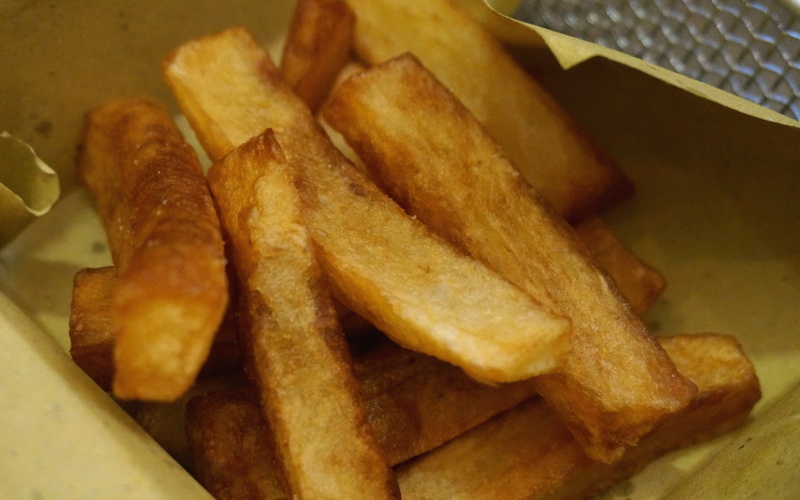 Having seen baskets of them whizz by to ever-increasing sentiments of chip envy, I finally gave in and ordered some – and swiftly did an internal air punch as they turned out to be awesome. Golden crispy on the outside, soft and fluffy on the inside… do I even need to tell you this stuff by now? The only problem is that one smaller-than-average portion of these is $70 a pop – and if I go with my boyfriend, there’s no way he’d be sharing. 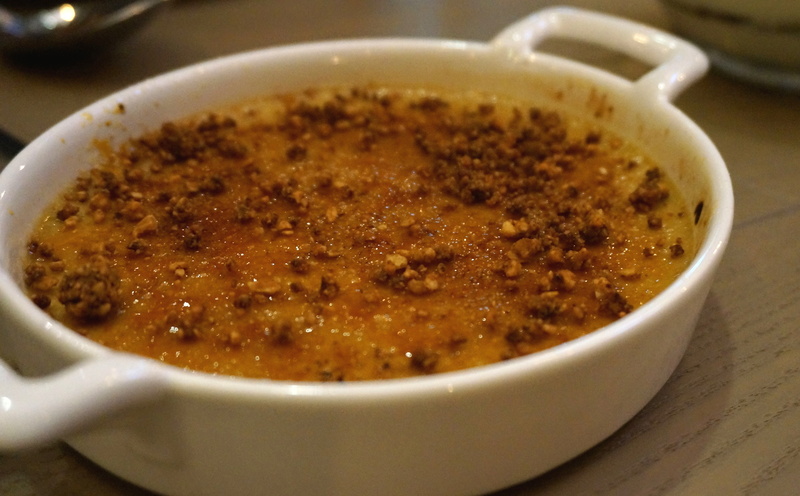 Having tried most of Isono’s dessert menu, I can declare my top pick to be their Piedmont hazelnut crème brulee. It’s pretty unique in Hong Kong and has a delicate, sophisticated smooth nuttiness topped with crunchy chopped nuts. 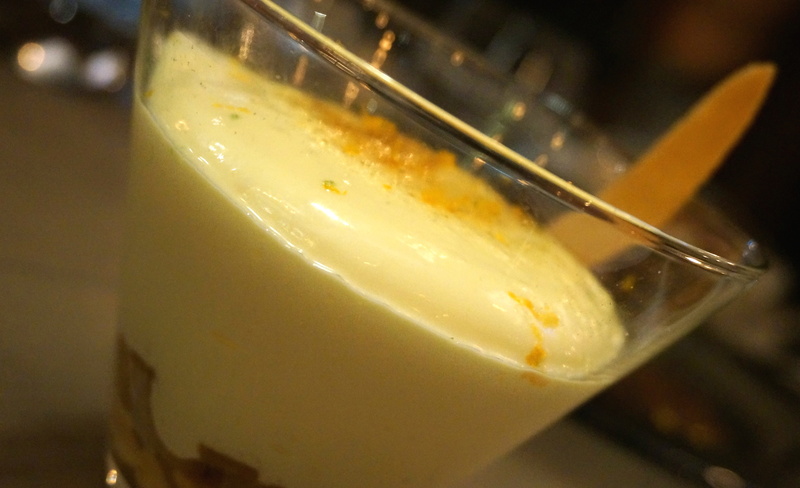 My runner-up was the Catalan cream foam with toffee ice-cream and pineapple. This had pretty much melted into one gooey delicious being by the time I stuck my spoon in, but it was basically dessert sunshine – bright, comforting and warm fuzzy inducing. Overall, the food at Isono is solid rather than spectacular, with a few definite highlights that I’d happily return for – but at rather expensive prices. Regular portions are designed to be shared between two to three people, with large portions for four-five. 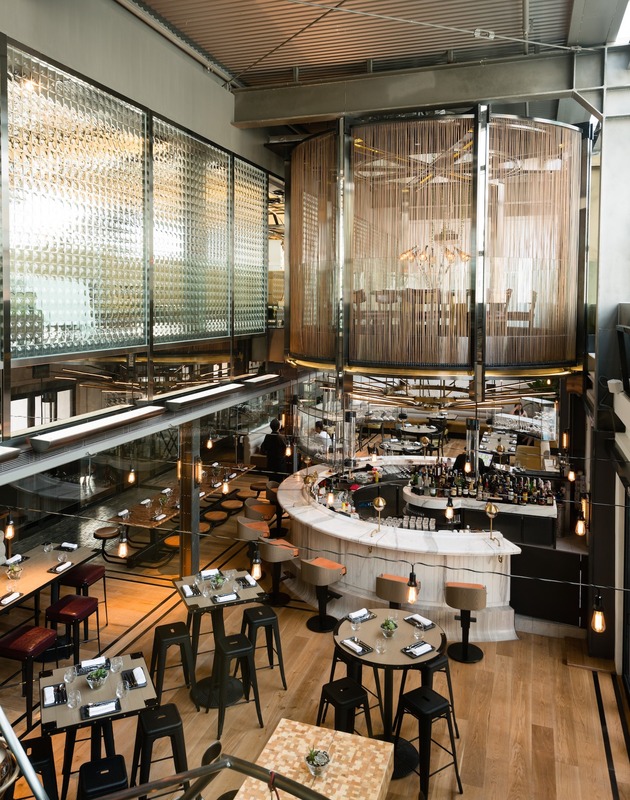 The regular tray of seven cod croquettes costs $115 – practically the price of a main elsewhere – whilst the regular paella, Iberican meat selection and charcuterie platter are all somehow priced near-identically at $240-5. With portion sizes somewhere between tapas and entrees, it’s easy to see how you might rack up quite a bill getting order-merry without even realising. 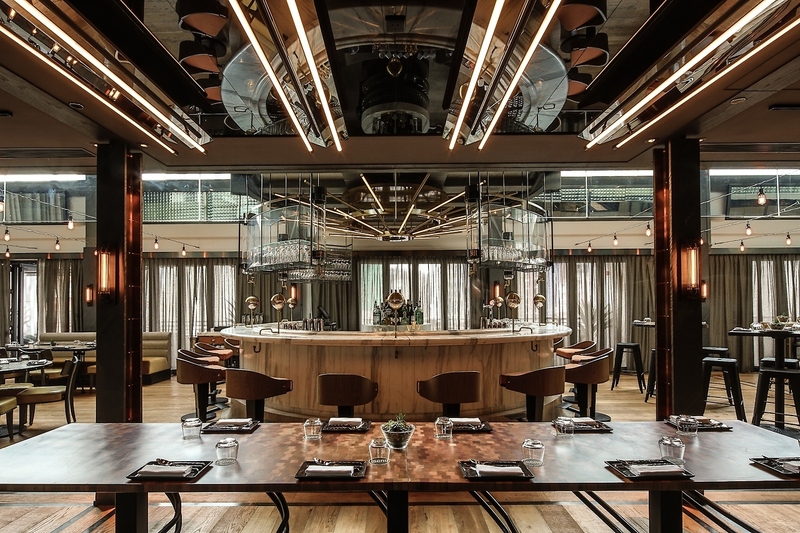 What you’re paying more for at Isono is the stunning environment – it’s certainly a much more glam experience than my usual Spanish haunt, Tapeo, and has the feel of special-occasion dining but without the daunting degustation menus or stuffy service. 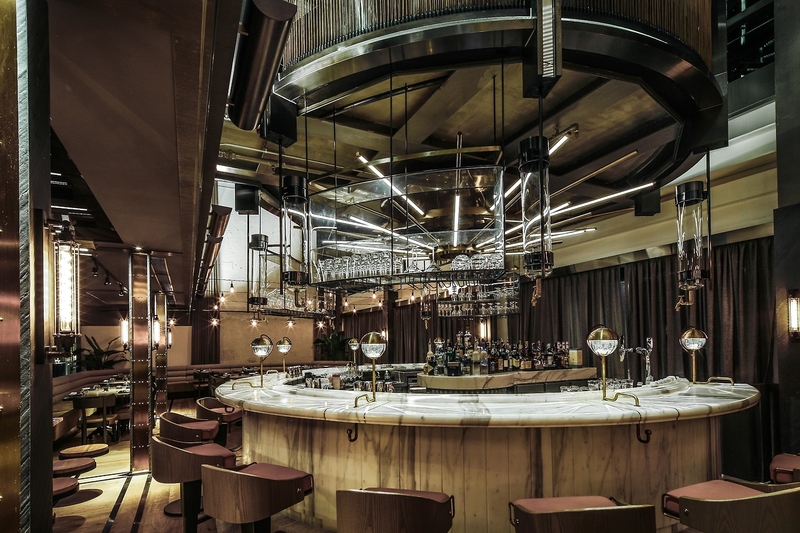 What with PMQ’s current it-status and Joyce Wang’s wow-worthy interiors, these dependable Mediterranean classics are pretty much the sliver of 36-month aged Iberico ham on top of an impressively slick and shiny package. 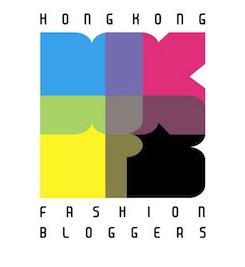 This entry was posted in Food, Hong Kong and tagged best restaurants in Central, best restaurants in HK, best restaurants PMQ, best tapas Hong Kong, Drawing Room Concepts, fine dining Hong Kong, Isono, Isono Eatery & Bar, Isono HK, Isono Hong Kong, Joyce Wang, Mediterranean cuisine Hong Kong, Mediterranean restaurants Hong Kong, Paolo Casagrande, PMQ, review, Spanish cuisine Hong Kong, Spanish restaurants Central, Spanish restaurants Hong Kong, tapas, tapas restaurants Central, tapas restaurants Hong Kong, Tony Cheng, Vasco, where to eat in Central, where to eat in PMQ, where to eat in Soho. Bookmark the permalink.